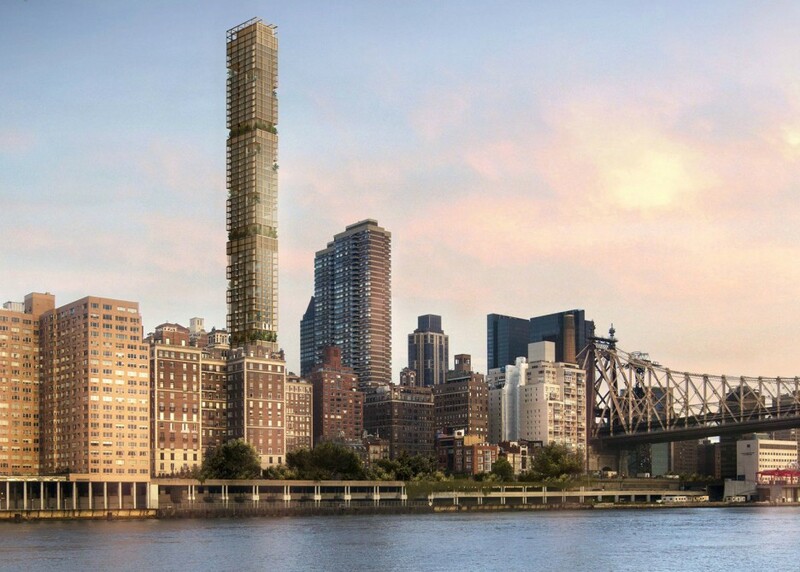 The troubled tower originally designed by Foster + Partners in Manhattan‘s Sutton Place neighborhood has hit yet another speed bump. Crain’s reported that local residents have filed a lawsuit to block the condo building from going up at 430 East 58th Street, claiming that it has run awry of recent zoning changes. Locals are unhappy with the tower’s height. Its scale is closer to the skinny supertall towers of nearby 57th Street, which is also known somewhat pejoratively as Billionaire’s Row and is the home of some of the city’s most expensive apartments. Sutton Place is, however, an affluent mid-rise and low-rise area, home to historic townhouses and exclusive brick apartment buildings. The project has never been welcome in the area. In an attempt to block its rise, the local populace successfully lobbied the city government to change the area’s zoning to exclude structures of the tower’s proportions. The developers then scrambled to get the building grandfathered into compliance by finishing the building’s foundation before the new restrictions took effect last December. The city gave the developers an extension to meet the deadline, which is what the neighborhood is objecting to and suing the project over. The suit is aimed at stopping construction and shrinking the tower, which is currently planned to be 68 stories. The original developer, Joe Beninati, was a relative newcomer to the New York City real estate scene, and after a series of bad financial decisions he lost control of the project, and it went into the hands of Gamma Real Estate. An earlier version of this article incorrectly stated that Foster + Partners is the current architect on the project.